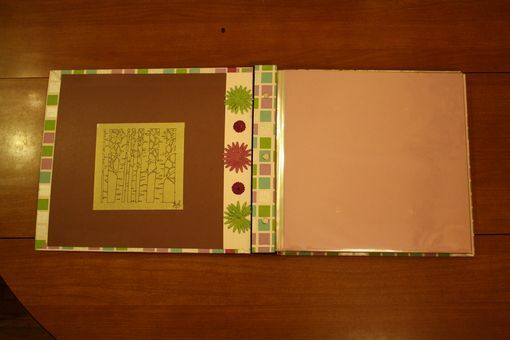 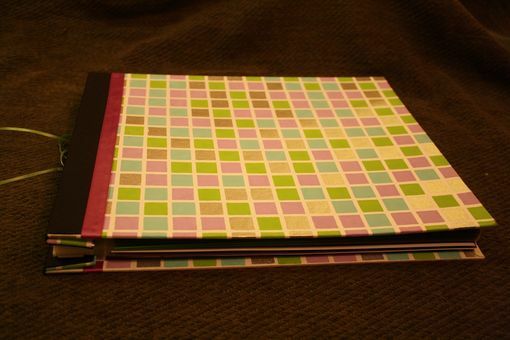 This is a baby scrapbook, created with the refillable 3-screw post design. 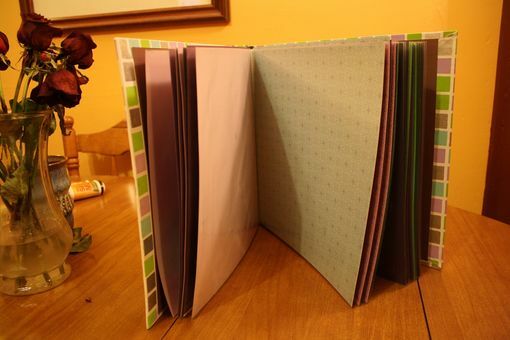 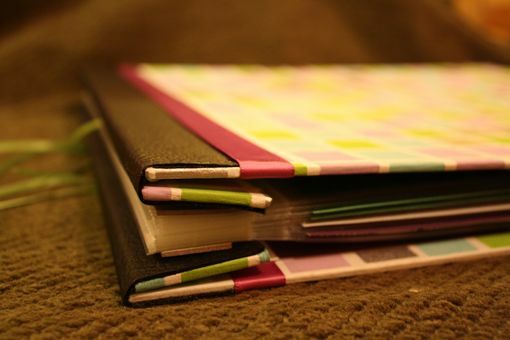 It features vegan leather-like vinyl hinges, archival 12x12 plastic sleeves, ribbon detailing on the cover, several pre-scrapbooked pages inside (including, handprints/footprints, first haircut, etc.). 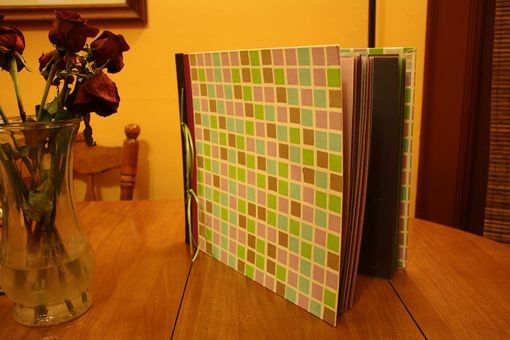 Also has 50 pages with pre-attached photo corners to fit 4x6" and 5x7" photos. 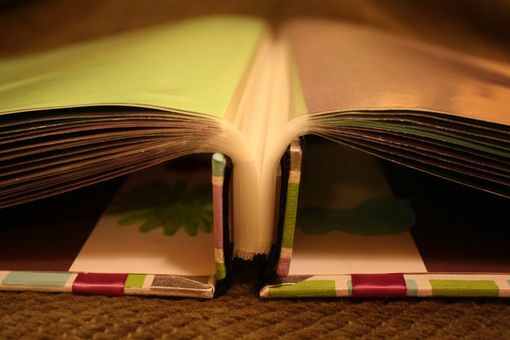 It also has a hand drawn forest design attached inside the front cover.